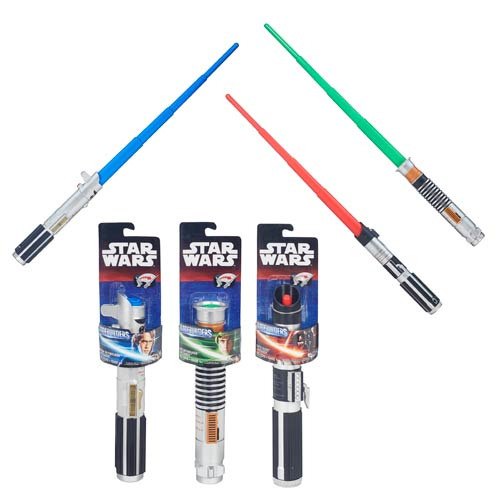 Fight with the Force - all it takes is a flick of the wrist with the Star Wars The Force Awakens Extendable Lightsabers Wave 1 Case. Each weapon has a flip-out extending blade that's sure to strike fear in all who dare oppose you. Extends to approximately 30-inches. Ages 4 and up.